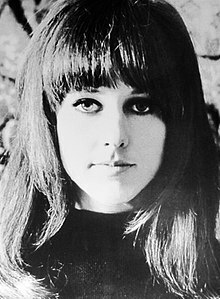 Grace Slick (born Grace Barnett Wing; October 30, 1939) is an American singer-songwriter from Evanston, Illinois. She was the lead singer of Jefferson Airplane, Jefferson Starship and Starship. She was inducted into the Rock and Roll Hall of Fame in 1996 as a member of Jefferson Airplane. ↑ Hinckley, David (19 January 1996). "This is Dedicated to the Women We Love..." New York Daily News. Retrieved 24 July 2016. This page was last changed on 4 December 2016, at 15:57.